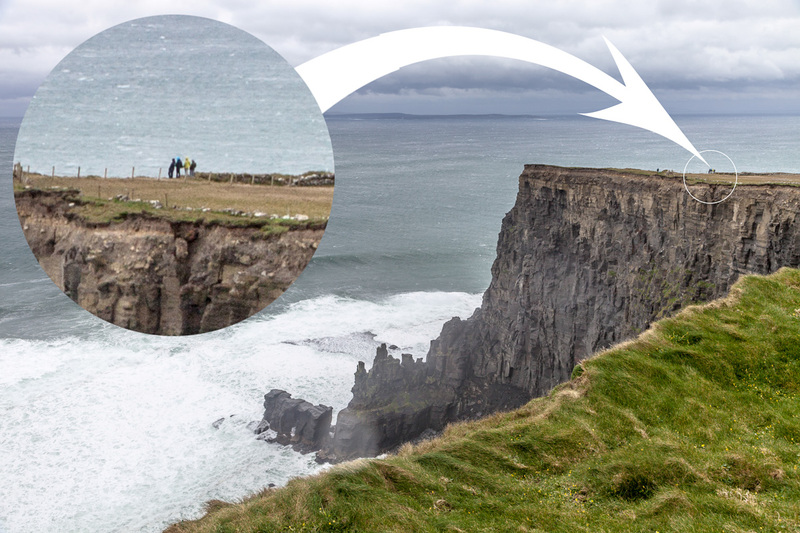 How high are the Cliffs of Moher? Just for fun note the group of four people standing at the top of the Cliffs in relation to the height. Yikes! Glad all you lost was a hat and rain cover!